I have been shocking at blogging this week, but the good news is I haven’t been shocking at running. I have been consistent with my running, slowly returning to running after (still a little during..) and building a base before my training plan kicks in for the Virgin Money London Marathon 2014. I have read lots on training for a marathon, and tried to talk to all of my friends that have run marathons and soak up all the wise words. 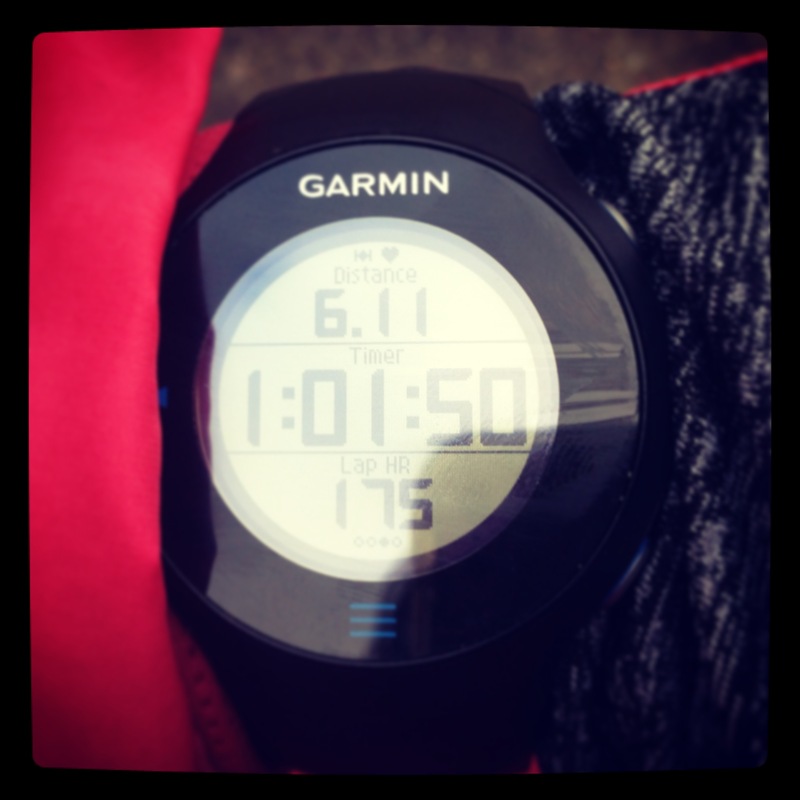 Last week I read on the RunMummyRun Facebook page, about using the heart rate monitor to help with training. I then googled it to find at more information and then decided to put on my HR monitor when I headed out for my long run last week. I had read that your long runs should be run at 65% – 75% of your maximum HR. So I decided to learn about another feature on my Garmin (I wish I could be bothered to read the full instructions!) and set the HR zones. Off I went, and my watch started buzzing immediately, telling me my HR was too low – Give me chance to warm up, i thought. So once into the flow of running, it buzzed continually telling me my HR was too high, so I tried to slow down. Even with trying to slow down, it still said it was too high. I ended up running 4 and 1/2 miles, at an average pace of 11.03 minute miles (a very comfortable pace for me), but my average HR was still 85% of my maximum HR!!??? Is this normal? I decided to stick with the HR monitor for the next few runs, but I’m still not sure what it is telling me. Tuesday I managed to run with a work colleague, which was great, as we ran 3 miles and chatted the whole way round! Thursday I met a friend at the gym at 6.15am to fit in a run before work. Again, we ran 3 miles, but this time she chatted the whole way – she is faster than me at the moment, so the pace was faster than I have run in a while, so I was happy to just listen! This friend that I ran with, Chicken, she has been desperate for me to write a post with her in it, but really I think she should be writing her own blog ‘The Chicken Run’, would be a good name for the blog, and she races almost every weekend, so she would be able to write lots of race reports!! And here is to another week building a good base, and more blogging. So, should I be concerned about my heart rate? Has anyone else trained using a Heart Rate Monitor?